Alibaba is already disrupting the grocery scene in China. Alibaba Group Holding (BABA - Get Report) is following up on Amazon.com's (AMZN - Get Report) entry into the grocery scene with news of its own: three new Hema supermarket stores opening in Beijing and Shanghai. The Chinese e-commerce first founded Hema stores in 2015 to show how data and technology can transform traditional supermarkets, according to the announcement that came out Monday morning. Sales per unit at Hema stores are three to five times higher than those of traditional supermarkets, the company said. Hema now has 13 stores across China. 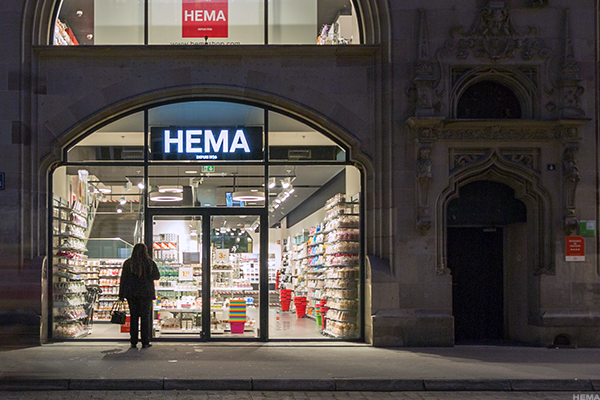 Hema stores are designed to accommodate offline and online shopping. The stores let customers use their phones to shop for and order groceries for delivery within 30 minutes in local communities. They can also use their phone to scan barcodes on items in the physical stores to get more information about them. In addition, customers can stop by the stores to eat dishes, including seafood, from over 50 countries. All items can be paid for through its digital payment system known as AliPay, which has about 450 million users worldwide. "We believe the future of New Retail will be a harmonious integration of online and offline, and Hema is a prime example of this evolution that's taking place," Daniel Zhang, CEO of Alibaba Group, said in the announcement. "Hema is a showcase of the new business opportunities that emerge from online-offline integration." Alibaba's stock was trading up 0.7% to $152.99 on Monday morning. Hema stores are part of Alibaba's New Retail strategy that's meant to bring together the best of offline and online shopping. The Hema stores are part of Alibaba's often-talked-about "New Retail" strategy, or combining the best of offline and online shopping by allowing customers to touch and test products inside physical stores, but also giving them the option to order any item they see to their doorstep while still at the store. Revamping brick-and-mortar stores instead of just focusing on e-commerce is important because e-commerce is only about 15% of China's total $4.8 trillion retail market, CrispIdea head of research Shejal Ajmera told TheStreet. "By doing this, Alibaba was targeting digital transformation of the remaining 85%, rather than increasing the online share, which can take longer than using the combination of online offline strategy," she said. The Hema stores are the best example of Alibaba's New Retail strategy so far, Ajmera noted. "This initiative of Alibaba is certainly taking grocery shopping to a new level," she said. Amazon has been working on a similar initiative through its Amazon Go stores that allow customers to walk out of a store with food after paying for it on their phone, she noted. Amazon Go currently has one location in Seattle that is open to Amazon employees in its Beta program. Amazon is expected to transform Whole Foods into a similar type of supermarket that allows for seamless online and offline shopping. Amazon can use the supermarket's 466 locations as part of its distribution network to get food to customers quickly. Whole Foods CEO John Mackey noted in a town hall meeting that the high-end grocery stores will be getting some much-needed tech updates. In addition, ex-Amazon executive Brittain Ladd told TheStreet last week that he expects Amazon to section off part of the Whole Food stores as a place for customers to test out its devices, such as the Amazon Echo or the Kindle. He described them as "mini Apple stores."